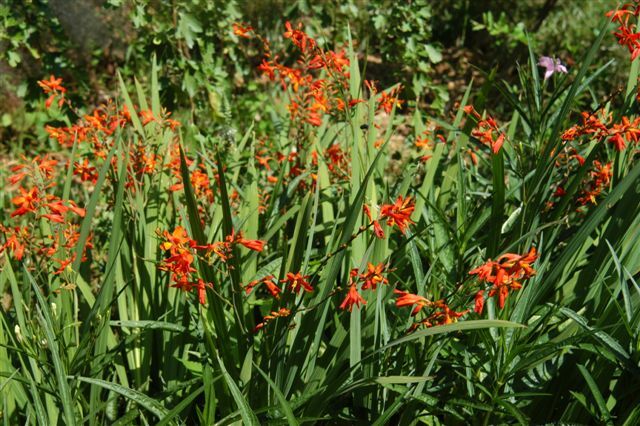 HABIT: Red-orange flowers in early summer. 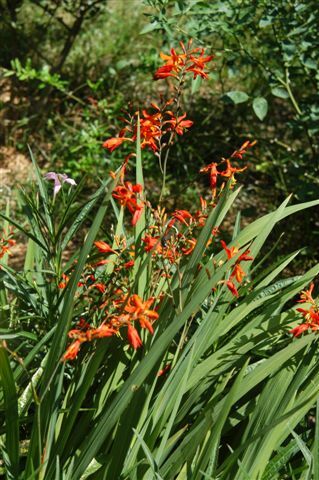 Spreading perennial with sword-shaped gladiola-like leaves. CULTURE: Easy to grow from corms that send out stolons to form new plants. USES: Perenial garden color, cut flowers. Can become invasive in healthy sods. PROBLEMS: Tends to sprawl. Too much water and fertilizer can cause weak growth.